Duncan Grant (full name Duncan James Corrowr Grant) was born in Inverness, Scotland in 1885. He was brought up until the age of nine in India and Burma where his father was posted as an army officer. He returned to England in 1894 to attend school. While at St Paul’s school, London, he was brought up by his uncle and aunt Sir Richard and Lady Strachey (the parents of Lytton Strachey. He was encouraged by his art teacher and also his aunt, who organised private drawing lessons for him. Eventually, he was allowed to follow his desire to become an artist, rather than joining the army as his father wished, and he attended Westminster School of Art in 1902. Grant’s cousins the Stracheys, with whom he had spent summer holidays as a schoolboy, played an important part in his life during this period. He spent the summer of 1905 with Lytton Strachey, and around the same time Pippa Strachey took Duncan to a meeting of the Friday Club where he first met the artists in the Bloomsbury Group. At the beginning of 1906 he went to Paris, taking with him a letter of introduction from the French artist Simon Bussy and £100 from an aunt sympathetic to Grant’s artistic interests. He rented an attic room in a cheap hotel and enrolled at Jacques Emile Blanche’s new art school, La Palette. While in Paris he copied paintings in the Louvre. The Art of Duncan Grant is a visual record of Grant’s easel painting and murals. He also did fabric design, theatre and ballet work, illustration and print-making, and commercial interior decoration. Throughout a long life Duncan Grant continued to experiment with new styles and techniques. 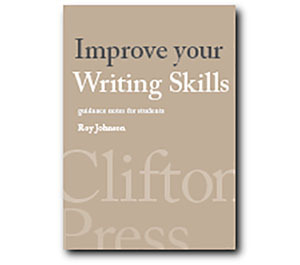 This book offers an opportunity to grasp the extent of his achievement. Returning to London, Duncan Grant formed relationships over the next few years that were to affect the course of his life and work. In 1908, he became the lover of John Maynard Keynes, a university friend of his cousin Lytton Strachey. They travelled to Italy, Greece, and Turkey, seeing much that would influence Grant’s artistic style. 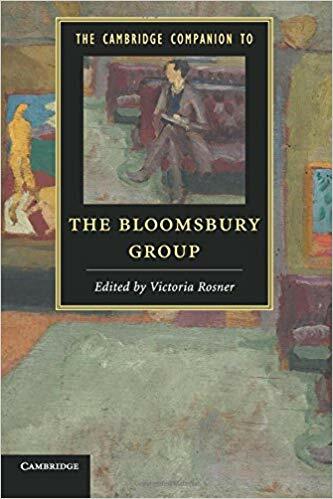 In 1909 he moved to 21 Fitzroy Square and became a regular visitor at Virginia and Adrian Stephen’s Thursday evening gatherings which formed the nucleus of the Bloomsbury Group. He also became a co-director of the Omega Workshops in 1913, along with Roger Fry and Vanessa Bell. All of them shared an interest in the decorative arts as well painting on canvas. In 1911 he worked on his first major commission, collaborating with other artists on a series of murals for the refectory of what is now South Bank University. The art critic of The Times thought that his murals Bathing and Football could have a “degenerative influence on the children of the working classes” – though both panels are now in the Tate Gallery. From 1914 Duncan lived and worked with Vanessa Bell, moving to Charleston with her and his lover David Garnett. Vanessa was married to Clive Bell, but he had moved on to an affair with someone else and only visited at weekends. Despite Grant’s homosexuality, he and Vanessa remained together for fifty years, and they had a daughter Angelica who was born in 1918. Angelica was led to believe that her father was Clive Bell, and she only discovered the truth as an adult. She gives her version of all this in her memoir, Deceived with Kindness where she describes her reaction of marrying her father’s former lover, David Garnett, who was twenty-six years older than her, much to the disapproval of her mother. Like most of the members of the Bloomsbury group, Grant was a pacifist. In order to be exempted from military service during World War I, he and David Garnett moved to Wissett in the Suffolk countryside to become farm labourers. Although they were at first refused exemption by a tribunal, they appealed and were eventually recognised as conscientious objectors. He had his first one-man exhibition in 1920 and his work was exhibited regularly until the end of his life. Grant and Bell were in great demand to paint murals and decorations. Duncan Grant enjoyed a reputation as one of the most important British Artists until the late 1930s, after which period the influence of pre-war Bloomsbury was eclipsed by the second world war. Vanessa and Grant also travelled widely in Europe and spent much of their time living in Cassis in the South of France. After Vanessa Bell’s death he continued painting, dividing his time between Charleston and London and also travelling to Turkey, Morocco and France. 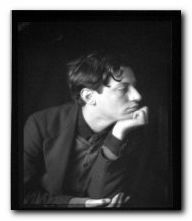 The last great love of his life was the poet Paul Roche, whose daughter the actress and artist Mitey Roche he taught to paint. He died of pneumonia at Aldermaston in 1978 at the age of ninety-three. Francis Spalding’s Duncan Grant: A Biography is the standard account of his life, which stretched from the Victorian age well into the modern era. It is based on his unpublished memoirs, letters and diaries, and it meticulously documents Grant’s daily life, his travels from Seville to Cyprus, and his encounters with everyone from E.M. Forster to Andre Gide and D.H. Lawrence.